The Hammerhead R-150 UTV offers exceptional value for money. 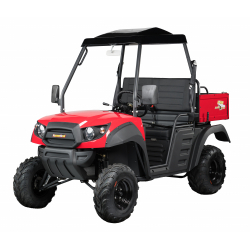 If you are looking for an economically priced utility vehicle then look no further! Please Note: We are genuine Hammerhead suppliers. Only products sold through our authorised dealer network are genuine Hammerhead Buggy products and come with a 12 month warranty as well as excellent after sales service with spare parts available at all times. Please be very aware of any companies that appear to be selling Hammerhead products or lookalikes that are not listed on our dealer network. Please click here to find your local UK authorised and approved Hammerhead Buggy dealer.